A new report published by a U.S. think tank says that it is just “a matter of time” before the People’s Republic of China launches a limited yet decisive military invasion against the Senkaku Islands, the disputed islands in the East China Sea currently controlled by Japan. Published by the Project 2049 Institute, the report’s title “White Warships and Little Blue Men” is a reference to the Chinese regime’s Coast Guard and Maritime Militia, both of which have seen a dramatic buildup in the past decade together with the rapid modernization and expansion of the People’s Liberation Army (PLA) Navy. The authors of the report, James E. Fanell and Kerry K. Gershaneck, are retired U.S. military officers with decades of experience serving in the U.S. military and intelligence community. The Chinese regime’s massive buildup of maritime power and statements by regime officials and military officers are cited as evidence that aggression will come between the years of 2020 to 2030. This period has been cast as a “decade of concern” during which resistance against the Chinese regime’s coercion, such as that offered by Japan or Taiwan, will be forcibly defeated. Fanell and Gershaneck’s report cites Yin Zhuo, a Rear Admiral of the PLA Navy, who revealed on Beijing Television in January 2013 that the Chinese military has plans for a “short, sharp war” to take over Japan’s Senkaku Islands, which are claimed as the Diaoyu Islands by China. The real fight could be very short, and could even end in a few hours, Yin said. 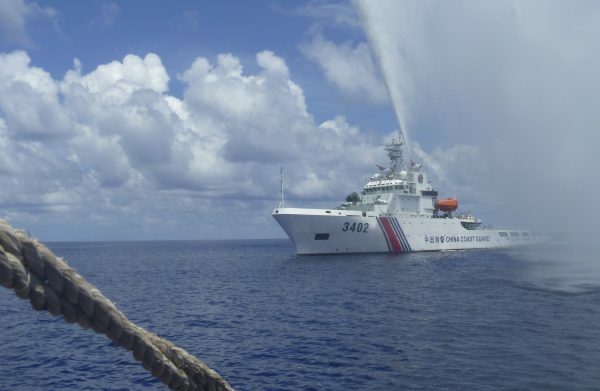 The actions of the PLA Navy and the Chinese Coast Guard have subsequently validated Yin’s claims, according to the report. The Chinese regime prefers “never to fire a single shot,” or to fire as few shots as possible, to achieve the “great rejuvenation” of the Chinese nation. A surprise attack on the Senkakus would seem to be consistent with this strategy. The report stipulates that Beijing would invade the Senkaku Islands the same way it seized Scarborough Shoal from the Philippines, by progressively leaning in on the Senkakus with Chinese fishermen, while the Chinese Coast Guard would follow along to “protect” them. Eventually the Japanese would be left with one of two choices: either surrender territory, as the Philippines did at the Scarborough Shoal, or to defend against the encroachment. Defensive action by Japan, no matter the scale, would be magnified in Beijing’s propaganda and exploited as an excuse for the Chinese regime to escalate the conflict and to commit further aggression, the report says. The report says that Beijing could also invade the Senkakus at the same time it launches an invasion of Taiwan, but the scenario is less likely as the PLA anticipates that a successful war against Taiwan will involve a much larger scope and a longer campaign. 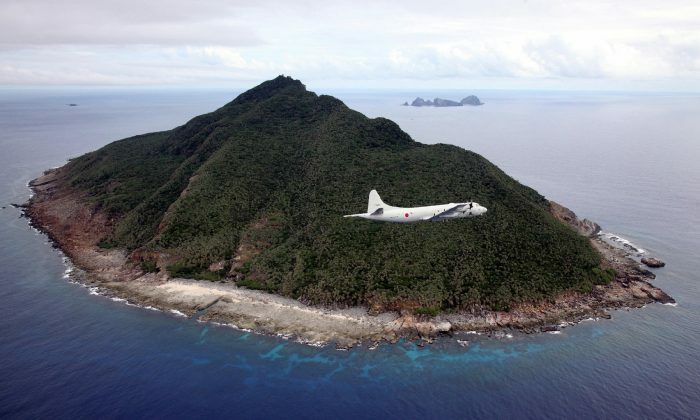 Chinese military activities around the Senkaku Islands have soared in recent years in terms of the volume and frequency of both military aircraft and naval vessels, a development that has alerted not only Japan but also Taiwan, which is situated even closer to the Senkaku Islands than Japan. While the Japanese government has not publicly elaborated how it will defend the Senkakus in the case of a limited, fast Chinese invasion, another expert says that Fanell and Gershaneck’s prediction is not far-fetched. Among the report’s list of policy recommendations is for the United States to encourage Japanese physical occupation of the Senkaku Islands, an act that the report says would create additional deterrence against a surprise Chinese invasion, although some have said that doing so would cross Beijing’s red line and could force it to act militarily. Another good countermeasure to Beijing’s plot, Fumio Ota said, would be for the United States to revitalize part of the Senkaku Islands as a firing range for U.S. military exercises, as was practiced before 1978. This would send a clear message to Beijing that the United States recognizes not only administrative control but Japanese sovereignty over the Senkakus, according to Ota.